On December 28, the monks of St. Benedict’s Abbey in Atchison elected James Robert Albers, OSB, their ninth abbot. If you asked Abbot James how he came to that position, he would quickly tell you he has accomplished nothing on his own. God brought him to that place in his life because of the love and support of others. Abbot James was born in Ost, Kansas, a small town west of Wichita, but grew up north of Atchison in Bendena, where his family were members of St. Benedict’s Parish. He graduated from Midway-Denton High School in 1990 and Benedictine College in 1994. He entered the novitiate at St. Benedict’s Abbey in December 1995 and made his First Profession on December 8, 1996. Three years later, he made his Solemn Profession on October 2, 1999. After having studied at the Pontifical University of Sant’Anselmo, Rome, Italy, from 1997-2000, he was ordained to the priesthood in July 2000. Following his ordination he did a pastoral year at Sts. 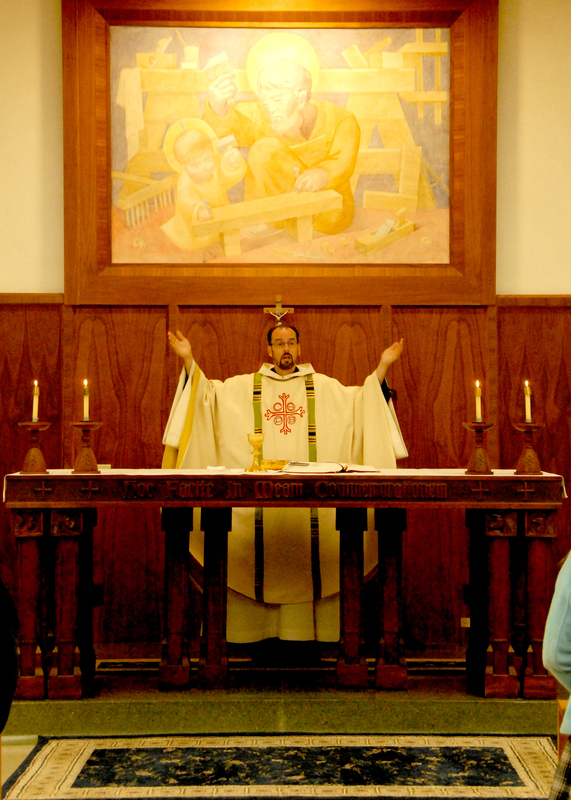 Peter and Paul Parish in Seneca, Kansas, and served as Alumni Director at Benedictine College from 2000 until his appointment as Prior of the St. Benedict’s Abbey community in July 2002. Abbot James believes his path from small-town Catholic boy to monk and priest and abbot of the institution that co-founded Benedictine College and Maur Hill-Mount Academy is owed, firstly, to the influence of his family. Robert (Bob) and Elizabeth (Betty) Albers raised five children; and they gently encouraged each one of them to consider the religious life. The Albers family has connections to the Benedictines that reach back more than 150 years. As Abbot James’ family has influenced him, the monks have influence his family. The year after Father Henry Lemke, Father Casimir Seitz and Father Augustine Wirth had established St. Benedict’s Priory in Doniphan, Kansas, Abbot James’ family made its first contact with the Kansas Monks. In 1858, a cabinetmaker named Peter Reichenberger and his wife Barbara made the trek west from New York City to Northeast Kansas. Ultimately, the Benedictines would move that first monastery to Atchison, and the Reichenbergers would settle near Bendena. The Reichenbergers—Abbot James’ great-great-great grandparents on the Albers side—would go on to be served by many Kansas Monks at Saint Benedict’s in Bendena, before the family moved down to Ost. In 1883, Abbot Boniface Wimmer of Saint Vincent Archabbey in Latrobe, Penn., returned from a trip through Bavaria. The Abbot would make such trips in search of money and young men for his monasteries in the New World. Upon this particular return, however, the Abbot brought with him Michael Sittenauer, Abbot James’ great-great uncle. 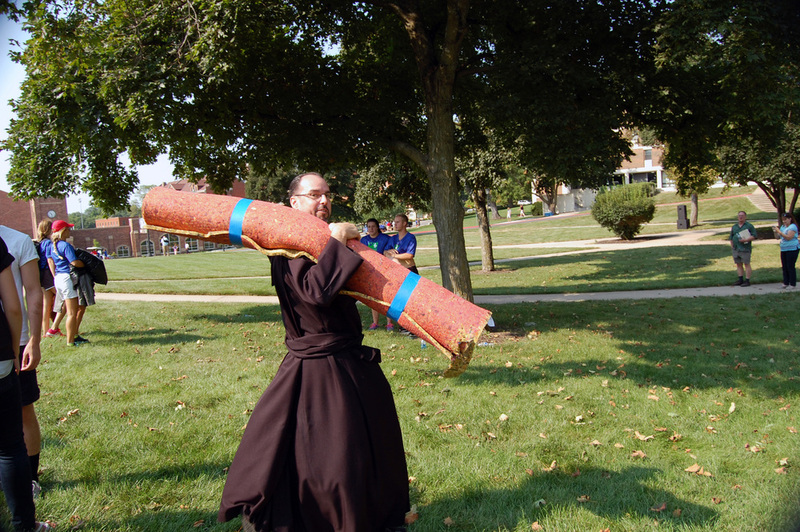 Michael soon made his vows and took the monastic name of Joseph before being ordained. 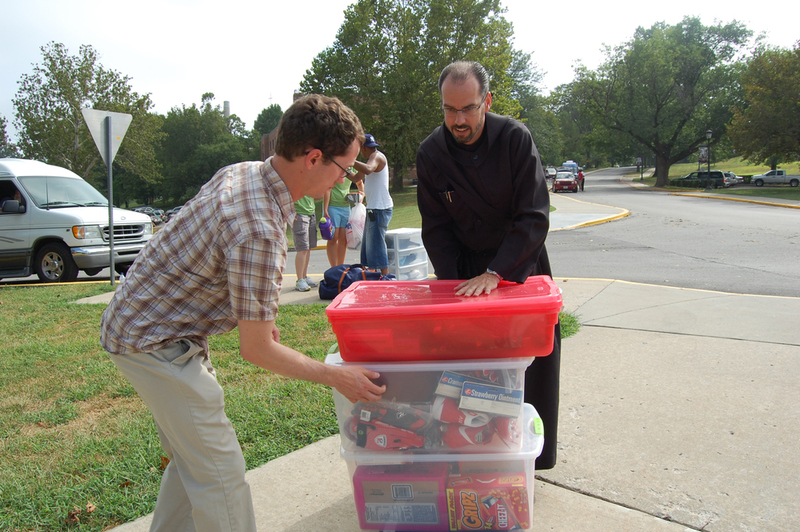 After ordination, Father Joseph volunteered for the Kansas mission at St.Benedict’s Abbey. Father Joseph was named prior, and convinced his brother, Mathias, to settle in the hills of Atchison County. Mathias and his wife, Mary Ida Penning, are the great grandparents of Abbot James. In addition, another great-great uncle, Father Lawrence Theis, was a monk of the Abbey. All in all, many of the descendants of the Sittenauer and Theis families over the next century would be educated and pastored by the Benedictines of Atchison. One priest who should be named, however, is Father Augustine Rottering, who served as the Albers’ pastor in Bendena for fourteen years. A monk of St. Benedict’s Abbey, he provided a shining example of the joyous experience of the religious life. Several years later, when Abbot James entered the monastery, he was the youngest member of the St. Benedict’s Abbey community and Father Augustine was the oldest. Ultimately, Father Augustine was one of many monks—deceased and still living—who have played a special role in Abbot James’ vocation to the religious life. As he begins his tenure, Abbot James is humbled by the demands of the position. At the same time, he moves forward with a resolve to take his task seriously. Please pray for Abbot James Albers as he begins his tenure as the ninth Abbot of St. Benedict’s Abbey. Ut In Omnibus Glorificetur Deus.